Copernicus reoriented the cosmos. But did he render art beige in the process? Yes, according to concept artist Jonathon Keats. Copernicus revolutionized scientific and cultural history after proving that Earth was just another planet in a universe full of them. Conceptual philosopher and prankster Jonathon Keats has taken that Copernican thesis of astronomical mediocrity into the arts for his latest exhibit. Opening Thursday at San Francisco’s Modernism Gallery, Keats’ multimedia clarion call for a Copernican revolution strips the arts down to their respective mediocrities. So long, singularity. That absurdity is on prominent display at Modernism Gallery. Keats’ exhibit shows paintings, music, sculptures, and even cuisine completely blending in — rather than standing out as artifacts for the ages. It’s a noble antidote to our anachronistic but nevertheless escalating demand for the unique, explained Keats. Jonathon Keats' eight-point Copernican manifesto clearly spells out how the arts can best achieve the average. Keats’ latest concept art experiment wants to help lead us down the road to that necessary Copernican mediocrity. From its beige paintings and hydrogen sculptures to its entropic music (below left) and culinary anti-seasoning (below). 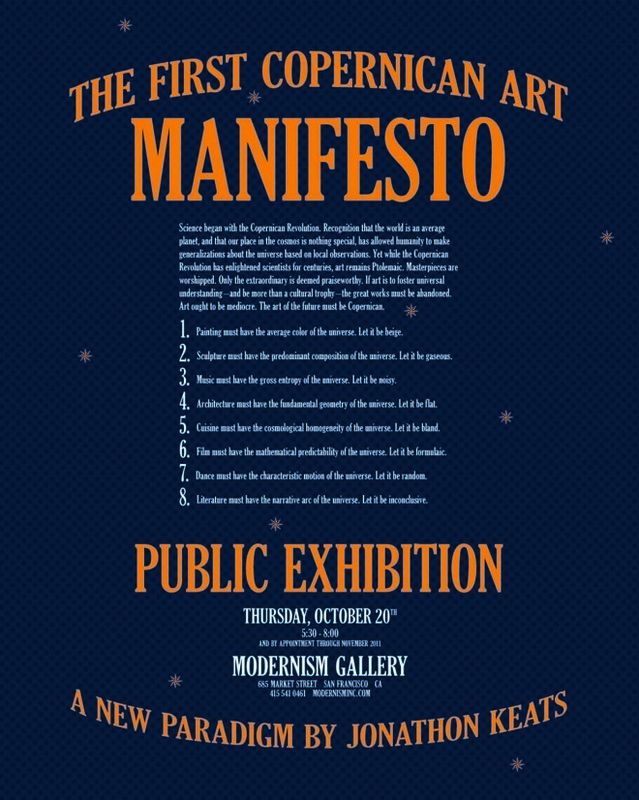 Further guidance for architecture, dance, film, and literature is provided in Keats’ Copernican manifesto (above). Keats encourages everyone, not just artists, to achieve the same on their own. 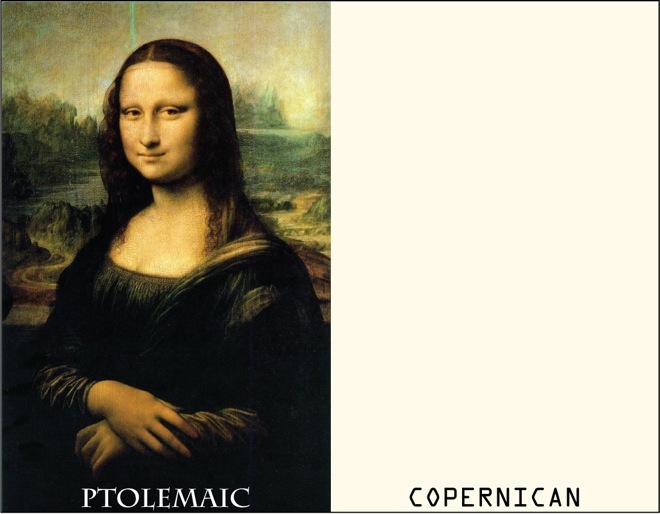 Copernican artists should randomize the Beatles, create beige minorpieces, and even create simply average cuisine that no one will love nor hate. Efforts to take Copernican principles beyond the arts into disparate disciplines are also welcomed. In fact, Keats explained that Occupy Wall Street has already started making waves in Copernican finance. 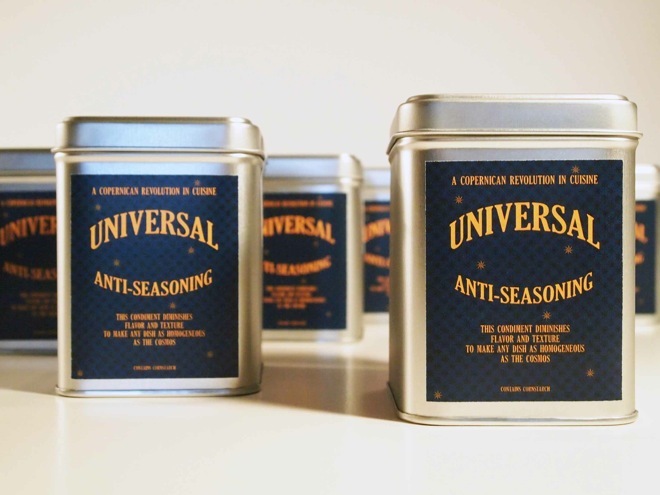 Need to spice down your cuisine? Try Keats' Copernican anti-seasoning at the Modernism Gallery.